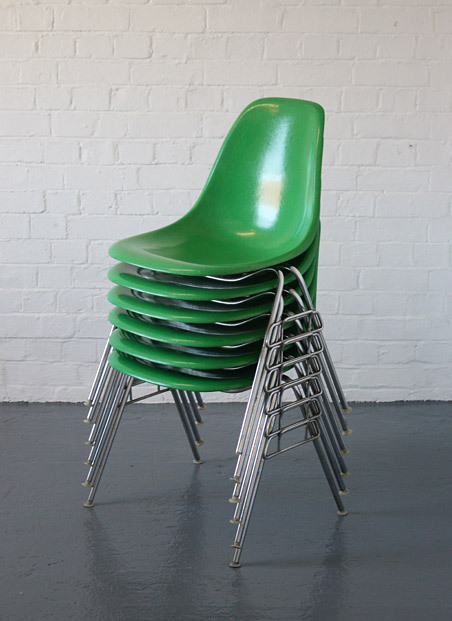 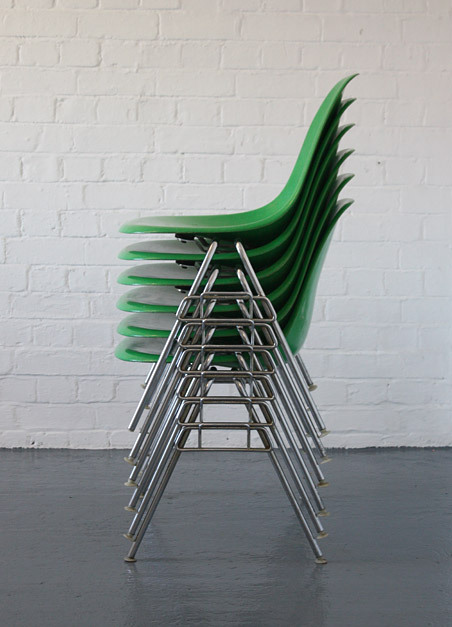 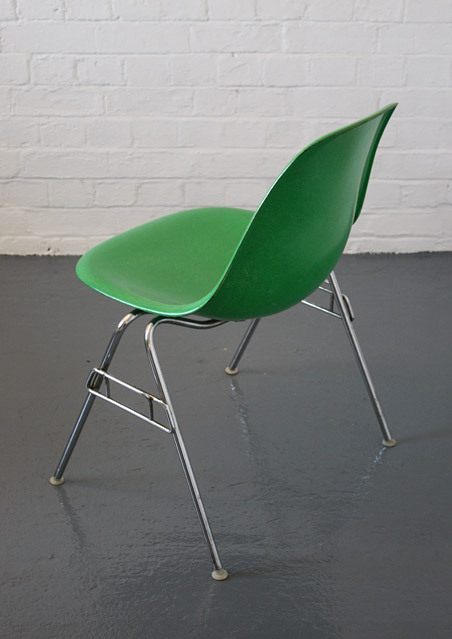 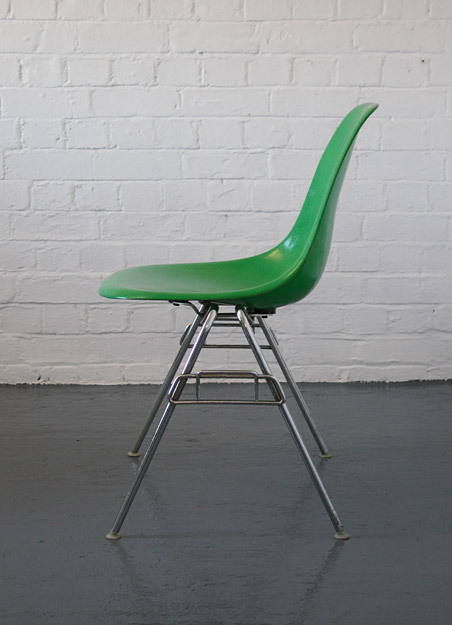 A set of six vintage stacking chairs designed in the 1950s by Charles Eames and manufactured by Herman Miller. 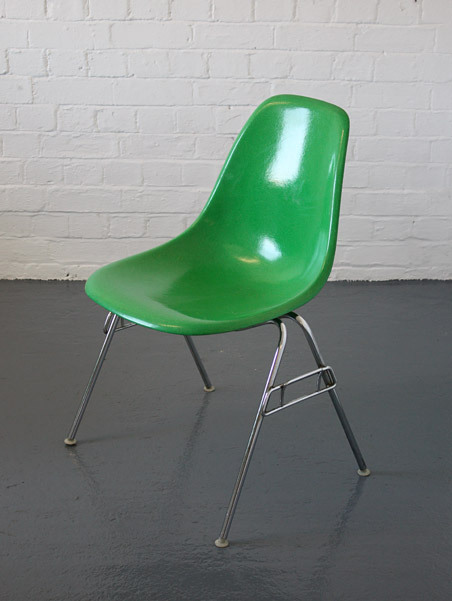 Fibreglass shell in rare 'Kelly Green' color on chromed metal bases. 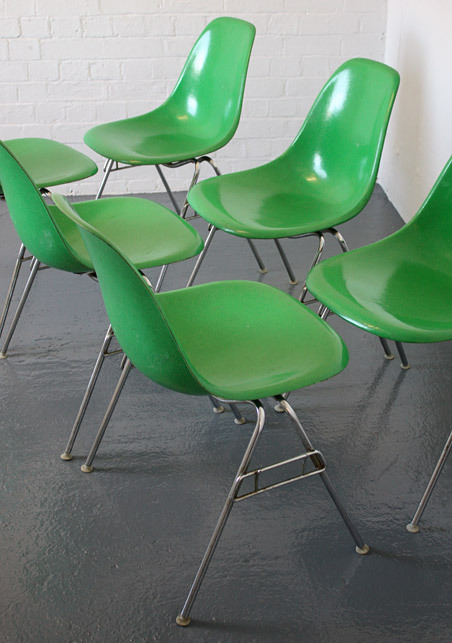 The shells are in excellent condition with a strong deep colour and some minor wear. 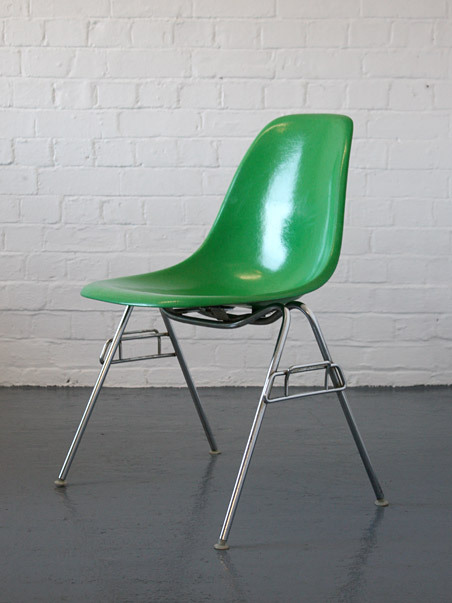 The bases have some light surface oxidisation in places.